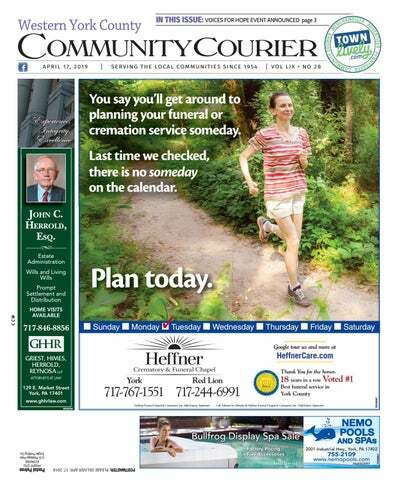 You say you’ll get around to planning your funeral or cremation service someday. Last time we checked, there is no someday on the calendar. How To Get Away In PA “Annually, the U.S. Travel Association says 705 million vacation days are left unused. That is a lot,” said Wendy Royal, editor of Where & When Pennsylvania and an organizer of the second PA Family Travel Fair. “For people who live in Pennsylvania, there is so much to do within a short distance. Everyone recognizes Philly and Pittsburgh, but there is so much in the middle people aren’t aware of,” noted Royal. the famous Kinzua Bridge, a former railroad bridge that is now a tourist attraction, will be represented, along with the Pennsylvania Great Outdoors Area, which covers five counties in the northern region. Also represented will be the area of the Eagles Mere, which will include the Eagles Mere Air Museum, Eagles Mere Auto Museum, and the Eagles Mere Inn. Elk Mountain Ski Resort will be represented. Railroad enthusiasts will find the Colebrookdale Railroad, and for those interested in Pennsylvania’s rich mine history, there will be information about the Pioneer Tunnel Historic Coal Mine in Schuylkill County. Returning this year will be DelGrosso’s Park & Laguna Splash and representatives of Indiana County, home of the Jimmy Stewart Museum. KPETS (Keystone Pet Enhanced Therapy Services) team members will bring their friendly service dogs again, as well. Prizes will include a weekend package for two at the Nature Inn at Bald Eagle. The excursion will include two nights at the inn, meals, and a kayak tour guided by a park naturalist. A visit to the Pennsylvania Grand Canyon for four will also be given away. The prize will include two nights in an extended stay suite at the Canyon Motel; a family pack of tickets from Ole Covered Wagon Tours, which includes horse-drawn tours of the Pennsylvania Grand Canyon; and a gift basket of Potter-Tioga County products. The fair puts emphasis on family fun, so children will find plenty to do, including a scavenger hunt with a grand prize of tickets to DelGrosso’s Park & Laguna Splash. Entertainment will be provided by WJTL’s Kids Cookie Break. In addition, magic shows with balloon artist Randy Ward will be held at 11 a.m. and 2 p.m. Children will also have a chance to meet a number of mascots, including Chipper, the Herr’s mascot; Yummie from Kitchen Kettle Village; and Yogi Bear from Yogi’s Jellystone Camp Resort in Quarryville. Clyde Peeling’s Reptiland will be on-site to perform a show about creatures that live in the rain forest at noon. In addition, Tiny Town will bring a castle to the venue. According to Royal, guests at the fair will have the opportunity to gain a wealth of information from the visitors bureaus that will have booths at the event. “We will have 15 visitors bureaus. I love what the bureaus will be presenting,” said Royal. “They will talk about all the special things in their areas, and nobody knows their particular destination better than they do.” Hungry attendees will find at least seven food trucks selling a variety of items, including Auntie Anne’s, Au-Sam’s Trolley Stop, Kunzler Rolling Grill, K’s Kitchen, Mad Dash Artisan Grilled Cheese, Smoothie King, and Waffle Mamas. Plenty of free parking will be available at the fair. Readers who would like more information are welcome to visit www.pafamilytravel.com. Attendees at the second annual PA Family Travel Fair will have opportunties to learn about places like the famous Kinzua Bridge (top left photo) and Jellystone Park (bottom left photo) and to visit with Clyde Peeling’s reptiles (right photo). The 2019 fair will be held at Calvary Church on Saturday, April 27, from 9 a.m. to 4 p.m.
players are being sought. All are welcome to play or watch. Board games, cards, and jigsaw puzzles are also available. In addition, wood burning classes and workshops are held on the first and third Fridays. Bingo is played on Tuesdays and Thursdays at 12:45 p.m. The first card is free. On Wednesdays starting at 6:30 p.m., bingo is played for cash as a fundraiser; doors open at 5 p.m. The amateur (ham) radio group has expanded and is operating a fully functional station. The group will connect to the Atlantic traffic net on Mondays, April 22 and 29, at 1:40 and 2:55 p.m. Classes are held on Thursdays to allow participants to study for the technician’s license from 1 to 2 p.m. and the general license from 2 to 3 p.m. A Radio Chat will take place on Saturday, April 27, from 10 a.m. until the signal fades. After the chat, participants will learn to build a fan di-pole antenna. The amateur radio group has already connected to 28 states and at least six countries and has received a communication from the International Space Station. The group’s goal is to reach all 50 states as well as 35 countries. A special radio event will take place on April 29 at 8:30 p.m. More details are forthcoming. A Science Fair of Ham Radio will occur on Saturday, May 18, from 1 to 4 p.m. People of all ages are welcome to participate in the ham radio group. All of September House’s radio activities are made possible through an equipment grant from the York County Community Foundation’s Embracing Aging Grant program. Area geologist Jeri Jones will provide a “Landscapes of the York Area and Geology” program from 10 a.m. to noon on Saturday, April 20, at the York Water Company’s Reservoir Hill Park facility off Grantley Road in Spring Garden Township. Participants will meet in the parking area and walk to a vantage point to view the landscapes. Jones will describe the origin of the rocks and landscapes. Jeff Hines, president of the company, will discuss a brief history of the company and why the filter plant is located where it is. The program will be free, with no registration required. For more information, readers may contact Jones at 717887-7103 or jonesgeo@comcast.net. York City Dollars for Scholars Inc. Address: 31 N. Pershing Ave., P.O. Box Did York City Dollars for 2261, York, PA 17405 Scholars Inc. participate in Phone: 717-747-1550 the inaugural Give Local Email: ycdfs1@gmail.com York last year? W e b s i t e : www.yorkcity.dollars Yes. We surpassed our fundraising goal, forscholars.org introduced our organization to new donors, and reconnected with past scholarship Diane Baker, president, who has been recipients. We had a great experience and with the organization for 13 years, are looking forward to doing it again. answered the following questions: What are the organization’s What is the mission of York goals for Give Local York City Dollars for Scholars Inc. 2019? (YCDFS)? How does the orgaOur fundraising goal is $7,000. We nization work to achieve its have secured a dollar-for-dollar match goals? It is the mission of York City Dollars for for the first $2,500 raised. Scholars Inc. to provide support to York City Where will funds raised students by way of scholarships and mentoring to ensure a successful transition to through Give Local York be directed? and through postsecondary education. Funds raised during the Give Local Scholarships are offered to students graduating from a public school or Pennsylvania- York event will be used to fund YCDFS’ approved charter school - such as William Scholars Program. Through the use of Penn High School, the York County School a program coach, the Scholars Proof Technology, or Helen Thackston Charter gram provides support and encourageSchool - and who reside in the city of York. ment to York City students who pursue postsecondary education. Students are Approximately how many mentored by the coach, who facilitates staff members and volundiscussions and links peers for mutual teers are involved? support. Information is shared regardTwelve volunteers, no staff members. ing what to expect at college, money management, dealing with academic struggles, and other topics critical to successful completion of the students’ first year of study. Church Posts Services, Egg Hunt Residents from throughout the community are invited to take part in this full schedule of services intended to commemorate the Easter season. More information is available by calling the church office at 717-757-7626. Additionally, the church will hold its annual Easter egg hunt on April 20. The event, which is open to the community, will begin with a light lunch at noon in the church’s fellowship hall. Children will be grouped according to age, from infants to grade five. Treats and prizes will be awarded to all participants. There is no charge to participate, but preregistration is required by calling the church office no later than April 17 at the aforementioned phone number. sit-down dinner, access to a silent auction, the presentation of the Heart of Hope award, and a keynote speech by Zortman, as well as a performance of his song “Meant to Live.” Tickets will be available through Friday, April 19. H.O.P.E. is a nonprofit organization that provides meals, transportation to and from medical appointments, resource materials, wigs and hats, support groups, and other services at no charge to those affected by cancer. For more information or tickets, readers may contact 717-993-3778 or mcauliffeh@comcast.net. To learn more about H.O.P.E., readers may visit www.hopeforcancerfamilies.org. York County Senior Games on June 22, 2018. She won gold medals in the 50yard and 100-yard backstroke competitions, the 50-yard and 100-yard freestyle competitions, and the 50yard and 100-yard breaststroke competitions. She also won a silver medal in the 200-yard freestyle relay. This was her third year competing in the Senior Games. In total, she has earned 21 medals. Wire swims at the Athletic Club of York and Green Valley Pool. Deborah Ann Wire won seven medals in the swimming event of the York County Senior Games in June 2018. York City United will hold a community event on Saturday, April 20, from noon to 5 p.m. in downtown York at Central Market at Cherry Lane. At the event, more than a dozen York City Police Department officers, including event organizer Lt. Roger Nestor, will have their heads shaved by professional, certified barbers who are volunteering their time. As members of York City United, the officers have been collecting donations online for St. Baldrick’s, which fights childhood cancer. Donations to St. Baldrick’s may also be made at the event on April 20. Nestor’s team has raised more than $3,500 so far. Additionally, York Mayor Michael Helfrich has issued a challenge: If a single donor makes a $10,000 donation to St. Baldrick’s through York City United by noon on April 20, he will have his head shaved. The event will also include food and live bands. For more information and to donate, readers may visit www.stbaldricks.com and search for “York City United.” Team York City United is an effort of the City of York and members of the York City Police Department. 250 E. Market St., York, at 7 p.m. ALLVETS meets on the fourth Wednesday of the month at York History Center. The gatherings are free and open to the public, and there is free parking. Veterans are invited to share their stories. For more information about ALLVETS, readers may contact Linda Bean at 717881-6651 or Allvets1york@gmail.com. Not valid with any other offer. One per customer. Expires 6/30/19. l 8pm on Sunda ys! evening, Zion will hold a Tenebrae service. The week will culminate with Easter services starting on Saturday, April 20, at 5:30 p.m. with a multimedia service. On Easter Sunday, April 21, an Easter sunrise service will be held at 6:30 a.m., followed by breakfast. Traditional services will be held at 8 and 11 a.m., with a multimedia service at 9:30 a.m. Nursery will be available during the 9:30 and 11 a.m. services. For more information, readers may visit www.zionyork.org or call the church office at 717-767-4673. Hope’s Closet Sets Hours Hope’s Closet, a resale shop located at Pathway Community Church, 1731 W. Philadelphia St., York, will be open on Saturday, April 20, from 10 a.m. to 1 p.m. The shops offers gently used clothing, including shoes, for the whole family, along with handbags, accessories, kitchen items, curtains, bedding, gift items, and more. Toys, games, and books are available for children. The selection will include Easter and spring fashions, as well as scarves and jewelry. All toys and dolls will be half-price. The shop will also have a large selection of linens, including sheets, tablecloths, and curtains. There will be a sale on dishes. Anyone who needs a roaster for their Easter ham is invited to shop for it at Hope’s Closet. Shoppers may register to win a free Easter basket, to be given away on April 20. Free clothing items will be available for people of all ages, as will free food, including bread. For more information, readers may call Pathway at 717-7938070, search for “Hope’s Closet-York” on Facebook, or visit www.pathwaycc.org. FREE DESSERT* * Rice Pudding, Tapioca, Jello or Ice Cream Not valid with any other offer. One per customer. Expires 6/30/19. Wayne Nell & Sons kill and process their products at the family-owned butcher shop. We also attend Hanover Farmers’ Market on Saturdays. St. David’s E.C. Church, 2411 Oakland Road, Dover, has announced its Holy Week services. All are welcome to attend. A Maundy Thursday service will begin at 7 p.m. on Thursday, April 18. On Easter Sunday, April 21, at 6 a.m., the church will hold a sunrise service, followed by a fellowship breakfast in the gym. Additional events will be worship services at 8 and 10:30 a.m., with Sunday school in between at 9:15 a.m. For more information, readers may call the church office at 717-764-0033 or visit www.stdavidsecc.com. Dover Bethany United Methodist Church, 4510 Bull Road, Dover, will hold an Easter celebration on Easter Sunday, April 21, from 9 to 10:30 a.m. The event will feature games, crafts, food, face painting, a photo booth, and animals to pet. Attendees are invited to stay for the worship service scheduled at 10:45 a.m. The event is free and open to the public. Dress is casual. For more information, readers may call 717-292-2716 or visit www.dbumc.org. On Good Friday, April 19, a reading of the Passion will be presented by members of the congregation. The service will begin at 7:30 p.m. It will conclude with the Adoration of the Cross. Following the Good Friday service, the youth group of the church will gather for its overnight vigil. The vigil will continue throughout the day on Saturday, April 20, by other members of the congregation. The Easter vigil will conclude with a special community service beginning at 8 p.m. on April 20. The celebration of Easter will be marked with two festive services beginning at 8 and 10:30 a.m. on Resurrection Sunday, April 21. Special music will be featured during both services, and Holy Communion will also be offered. Mount Zion Lutheran Church, 2164 Mount Zion Road, York, has announced its schedule of services for Holy Week leading up to Easter Sunday, along with its annual community egg hunt. The series of services will include the Holy Wednesday service of evening prayer on April 17. Beginning at 7 p.m., the service will include confession and forgiveness in keeping with the Easter season. On Maundy Thursday, April 18, two services will occur. The first, set to begin at noon, will include a service of healing. The 7:30 p.m. service will include time for meditation and healing and will conclude with the traditional stripping of the altar. Both services will include Holy Communion. and Family Fishing and Conservation Day, stream monitoring, stream cleanups, and habitat restoration projects. In 2019 and beyond, the Master Watershed Stewards will continue to partner with the Lower Susquehanna Riverkeeper to continue to protect and restore water resources in York County. For more information about the Master Watershed Steward program, readers may visit http://extension.psu.edu/york or contact Jodi Sulpizio, natural resources educator, at 717-840-7429 or jrb143@psu.edu. More information about the Lower Susquehanna Riverkeeper Association is available at www.lowersusquehannariverkeeper.org/. Ted Evgeniadis (far left), the Lower Susquehanna Riverkeeper, received the Penn State Master Watershed Stewards’ 2018 Outstanding Partner Award at an Extension event. He was congratulated by (continuing from left) Jodi Sulpizio, natural resources educator for Penn State Extension; Donna Scherer, Penn State Extension client relationship manager for Area 8; and York County Commissioner Doug Hoke. Dancers Honored At International Competition Dancers from the Midstate Ballet of Greater York Dance traveled to Pittsburgh in January to compete in the Youth America Grand Prix international ballet competition. Youth America Grand Prix (YAGP) is a global network of dancers. It fulfills its mission of dance education through scholarship auditions, master classes, alumni services, educational and outreach activities, performances, and films. It focuses on the support and development of dancers ages 9 to 19 and identifies promising young dance talent. In 2010, YAGP was the subject of a documentary film, “First Position,” which followed six YAGP participants on their journey to YAGP’s finals in New York City. Greater York Dance has announced that this year Ashlynd Talbert received Top 12 honors in her age division and Katie Dietz received a Top 24 in her age division. Each season, Greater York Dance’s artistic director and ballet mistress identify dancers who have shown an intensive study in ballet and contemporary dance and invite them to begin work on a variation in the spring through private weekly lessons. This preparation gives the dancers several months of technical polishing and stamina improvement before competing on the stage at YAGP. For additional information about Greater York Dance, readers may call 717-755-MOVE (6683) or visit www.gydance.org. Midstate Ballet of Greater York Dance members (from left) Kaitlyn Deitz, Lily Bertolet, Annemarie Doores, Lindsay Bean, Luciana Schmidt, Georgia Zengerle, Sadie Pacifico, Ashlynd Talbert, Ava Talbert and Anya Lebouitz participated in the Youth America Grand Prix international ballet competition in January. Ashlynd Talbert (fourth from left) won a Top 12 award in her age division. School District Hires Technology Director The West York Area School District has welcomed Steven Clutter as the district’s new technology director. The board of directors approved the hire at the Feb. 19 board meeting. Clutter comes to the district with more than 15 years of technology experience in networking, development, and integration. Previously, he has served as the technology manager for Lincoln Charter School, director of technology at the Columbia Borough School District, and information technology manager at Access 411. Most recently, he was employed as an MSP network engineer at Velocity IQ in St. Petersburg, Fla. Clutter is a graduate of the York Technical Institute, where he has also served as an adjunct technology instructor and a member of the school’s advisory board. At West York Area School District, he will assume the lead on several district projects, including Phase 2 of 1:1 Integration, the new Learning Management System (LMS), and the Tech-Enhanced Classroom initiative. He replaces Sherri Miller, who recently retired after serving for 11 years as the district’s director of technology. Dr. Todd Davies (right), West York Area School District superintendent, welcomed Steven Clutter, the district’s new technology director. will also be an opportunity to meet and take pictures with the Easter Bunny. To register a child, readers may call the church office at 717-767-4673. More information concerning Zion Lutheran Church is available by visiting www.zion york.org or www.facebook.com/zionyork/ or by calling the church office at the aforementioned number. Crystal Kimball, director of communications and special events, answered the following questions: What is the mission of Leg Up Farm? How does the organization work to achieve its goals? Leg Up Farm is a nonprofit pediatric therapy center for (clients) ages birth to 21 years who are impacted by a special health care need. Our mission is to enrich the lives of individuals with special needs and their families through support and customized programs. At Leg Up Farm, we believe every child is special and deserves the opportunity to grow, learn, interact, and realize his or her full potential. Our individually tailored treatment plans and child-friendly engaging environment is vital in helping our clients reach their therapy goals. Leg Up Farm is the only pediatric therapy facility in the country to provide physical, occupational, speech, and aquatic therapy; counseling services; educational and recreational programming; therapeutic horseback riding; and nutritional services under one roof providing more than 14,000 pediatric therapy appointments in 2018 alone. In 2014, the Leg Up Farm Family opened Able-Services to provide young adults and adults with special needs opportunities to realize their full potential. The program is designed to promote acquisition of daily living, social, and communication skills; leisure, fitness, and recreation; nutrition and health; and community participation and self-advocacy. Since opening in 2010, Leg Up Farm and Able-Services have impacted the lives of more than 2,700 children, teenagers, and adults with special needs. Did Leg Up Farm participate in the inaugural Give Local York last year? Leg Up Farm participated in the inaugural Give Local York, raising over $18,000. For being the first year, Give Local York did an amazing job promoting the event and making the process as seamless as possible for local nonprofit organizations. The event was a great opportunity for Leg Up Farm to share our mission and amazing success stories, which were possible due to the generosity of the York County community. Where will funds raised through Give Local York be directed? Leg Up Farm’s goal on Friday, May 3, is to raise awareness and support for the life-changing services we provide every day for families in York County. What continues to set Leg Up Farm apart from other pediatric therapy providers is that we do not limit the number of Medicaid recipients served. Additionally, Leg Up Farm provides scholarships and sliding-scale payment arrangements to uninsured and underinsured families. As such, children who would otherwise have to wait for services due to limited openings for Medicaid recipients or who cannot access services at all due to a lack of financial resources are able to access life-changing services through Leg Up Farm. Funds raised through Give Local York directly support Leg Up Farm’s capacity to ensure all families receive services, regardless of their insurance or ability to pay. Approximately how many staff members and volunteers are involved? Currently, the Leg Up Farm Family employs 56 individuals dedicated to enriching the lives of individuals with special needs. Every year, Leg Up Farm relies on more than 300 dedicated individual and company volunteers. In 2018 alone, Leg Up Farm volunteers logged almost 11,000 volunteer hours. Leg Up Farm occupational therapist Gabrielle Spangler works with client LJ. Pastor Janyce Jorgensen (left) and pastor Benjamin Erzkus (right) invite community members to attend the annual Easter egg hunt at Zion Lutheran Church in York on Saturday, April 20. The Easter Bunny will be present at the event. Jesus - Really?” and will feature a filmed interview with Greg Stier, author of “Outbreak,” and Rick Lawrence, author of “The Jesus-Centered Life.” Admission to the 60-minute event is free. For details on the program, readers may contact Chip Hoover at 717-792-3153 or chip08@aol.com. St. Andrew’s Sets Holy Week, Easter Services St. Andrew’s Episcopal Church, 1502 Fourth Ave., York, welcomes the community to attend its Holy Week and Easter services. On Wednesday, April 17, there will be a service at 10 a.m. On Maundy Thursday, April 18, there will be a service at 7 p.m. that will focus on remembering Jesus’ command to love one another. Good Friday services on April 19 will be at noon and 7 p.m. On Holy Saturday, April 20, there will be a short service at 10 a.m. The church will welcome Easter Sunday, April 21, with a service at 5:30 a.m. - the Great Vigil of Easter - where the Paschal (Easter) Candle will be lit from the new fire of Easter. The service will conclude with the Holy Eucharist. The Easter Sunday worship schedule will continue at 8 and 10:30 a.m. with festive celebrations of the Holy Eucharist. An egg hunt will follow the 10:30 a.m. service. For more information, readers may visit www.standrewsyork.org or call the church office at 717-843-3868. YOUR ATTENTION Lawn & Garden WANTED- LAND TO LEASE. Looking to lease land/farm to deer hunt on in Northern York County, particularly the Dover area. Mainly for archery seasons, but possibly rifle season as well. Very respectful of landowner’s wishes and property. Why not help offset those high property taxes? If interested, call or text 717278-1337 to discuss. CALVARY BAPTIST CHURCH: 2740 Roosevelt Ave., York, PA 17408. The pastors & people of Calvary Baptist Church invite you to join us in worship as the Bible is presented & preached in all of our services. Sunday morning classes for all ages at 9:30.Sunday worship services at 10:45am & 6pm. Wednesday services at 7pm include “Calvary Clubs” for Grades 1-6, a ministry to help build character in the life of our children, as well as “Youth Chapel” to minister to the needs of our teens. Nurseries provided. Faith Bible Institute meets on Mondays. Details can be obtained by calling the church office at 717-764-1440 or visiting www.cbcyork.org Greg Wahlberg, Rich Hall & Cameron Raber serve as pastors. CHURCH OF CHRIST: 150 S. Manheim St., York, PA 17402 (717) 755-2062. The Bible is our ONLY guide in all our teaching, preaching and worship. We offer Bible classes for all ages (cradle roll thru adult) at all of our meeting times. We gather for bible study on Sun. at 9:30 a.m. & Wed. at 7 p.m. Our Sunday worship times are 10:30 am & 6 pm. We also offer a free Bible Correspondence Course as well as home studies. www.yorkchurchofchrist.org We hope to meet you soon! HISTORIC FIRST ST. JOHN’S LUTHERAN CHURCH (LCMS): 140 W.King St., York, PA 17401 Bible Class at 9:00am; Traditional Worship at 11:00am. (717) 843-8597. www.firststjohns.com ST. PAUL’S LUTHERAN CHURCH: Join us as we celebrate The Resurrection of Our Lord/Easter Sunday at St. Paul’s Lutheran Church: 25 W Springettsbury Ave, York, PA 17403, (717) 843-8155. Holy Week Schedule: Maundy Thursday/Holy Thursday, 4/18, 7:00 p.m.; Good Friday/The Way of the Cross, organ & art depiction, 4/19, noon; Good Friday Service, 4/19, 7:00 p.m.; Holy Saturday/Vigil of Easter, 4/20, 7:00 p.m., The Resurrection of Our Lord/Easter Sunday, 4/21, combined liturgy 9:15 a.m., Cantabile, Handbell and Festival Choirs, Brass and Timpani. Detailed information for all services on webpage: stpaulsyork.org. AIRLINES ARE HIRING- Get FAA approved hands on Aviation training. Financial aid for qualified students- Career placement assistance. Call Aviation Institute of Maintenance 1-877-818-0783 DO YOU HAVE AN ANTIQUE OR CLASSIC CAR TO SELL? Advertise with us in over 100 publications and reach up to 3.2 million homes each week in the Mid-Atlantic Network. You choose where you want to advertise. 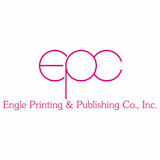 Call Engle Printing & Publishing Co. Inc., Classifieds, 1-800428-4211 for more details. CLASSIFIEDS C LASSIFIEDS FINANCIAL ADVANCE FEE LOANS OR CREDIT OFFERS. Companies that do business by phone can’t ask you to pay for credit before you get it. For more information, call toll-free 1-877-FTC-HELP. A public service message from Engle Publishing Co. and the Federal Trade Commission. PREMIUM DOUBLE SHREDDED Mulch Free delivery within 10 mi radius (4 yd min). Spreading available (extra fee). Credit cards accepted. 717-659-0412 or 717-993-6895. All Shifts Available. Qualiﬁed applicants will receive a GAS GIFT CARD just for applying, and there will be a GRAND PRIZE drawing for an Apple iPad. JOB FAIR The Performance Group in collaboration with Assurant will be hosting a job fair! • CNA’s--$1,000 Sign-on BONUS! • LPN’s--$1,500 Sign-on BONUS! • RN’s--$2,000 Sign-on BONUS! LANDSCAPE/ GARDEN CENTER POSITION Landscape installation, unloading, receiving trucks, and general Garden Center work. DENTAL INSURANCE. Call Physicians Mutual Insurance Company for details. NOT just a discount plan, REAL coverage for 350 procedures. 1-888-623-3036 or http://www.dental50plus.com/58 (NANI) AD# 6118 DIRECTV & AT&T. 155 Channels & 1000s of Shows/ Movies On Demand (w/ SELECT Package.) AT&T Internet 99 Percent Reliability. Unlimited Texts to 120 Countries w/AT&T Wireless. Call 4 FREE Quote 1-855-781-1565. OLD COINS, 1964 & older. Gold coins, old US paper money. Jerry 717-650-2007. Members of the Uptown York Rotary Club recently teamed up with the York County Food Alliance to fight hunger. Volunteers assisted with the preparation of vegetables to be made into soup, as well as with packaging the finished product to be shared with senior centers, food banks, Head Start programs and more. Rotary Club volunteers included (front, from left) Sarah Thomas, David Corman, Averie Clark, Bill Hart, (back) Brian Waltersdorf, Mark Casteel, Mary Jane McCluskey and Correll French. flea market and door prizes. Dash plaques will be presented for the first 50 vehicles registered. Admission will be free, with a fee set for registering a vehicle. For details, readers may visit www.wghsea.org or contact Jaci at 717-308-0291 or JaciLynne@aol.com. It was amazing to see how everything came together, and we were really able to knock it out of the park the first year. The sheer number of people who came out to events all over York County and seeing that total rise by the second shows how much our community needed something like this! What are the organization’s goals for GLY 2019? Our fundraising dollars for giving events have typically gone directly into helping cover the cost of important medical care for those patients who cannot afford it. A simple gift of $25 can help cover the cost of a patient’s Guided Care Coordination visit, where our team will help a patient address barriers that have been affecting their health, like not being able to find transportation to their doctor appointments. A $100 gift will be able to cover the cost of a patient’s visit with our Substance Use team and continue getting them the help they need to remain in recovery. What is the mission of Family First Health? How does the organization work to achieve its goals? Family First Health Center makes a difference in the health and quality of life of the people and communities we serve by providing quality, compassionate primary medical and dental care and social services to those who need it most; coordinating care and working with other providers to provide the full range of services our patients need; promoting and supporting healthy lifestyles; collaborating with others to Where will funds raised improve access and break down the through Give Local York be barriers of affordability, language, and directed? culture; and advocating for our patients With money raised during GLY, we and the medically underserved. will also be able to put money into our growing Community Health Programs such as Caring Together, Nurse-Family Approximately how many staff members and volunteers Partnership, and Connections for a Healthy Pregnancy. are involved? 225. County. York Catholic aims to help develop students’ character. Guided by the pillars of faith, mind, heart, and family, York Catholic strives to inspire students to achieve success in college, their careers, and life. For more information or a tour, readers may contact Heather Hoffman, director of admissions, at 717-846-8871, ext. 220, or hhoffman@yorkcatholic.org. 20 regular games, special games, 13’s, raffles, food, snacks & beverages available for purchase. including Reach Out and Read, targeted to children ages 6 months to 5 years at pediatrician appointments, and public-facing Reading Ready Corners and Little Free Libraries. Families in participating classrooms will also receive information about York County Libraries’ new initiative, 1000 Books Before Kindergarten, which offers library cards and provides community members information on their closest library and incentives for reaching goals along the way. Families will also receive information on the libraries’ Summer Reading Program, which operates during the timeframe that the Early Literacy Read to Me Challenge is not active. Individuals interested in supporting the #yorkreads programs through book donations can drop off new or used children’s books at the United Way of York County, 800 E. King St., York, on weekdays from 8 a.m. to 4:30 p.m. Readers may also browse the United Way wish list on Amazon at http://bit.ly/yorkreads_WishList, where books can be purchased and sent directly to the United Way. with prizes, along with crafts, snacks and face painting. The Easter Bunny will be present, and attendees are encouraged to bring their cameras. A vacation Bible school preview table will be set up. Did Family First Health participate in the inaugural Give Local York (GLY) last year? We were a part of the inaugural GLY event last year and are so glad that we were able to be there from the beginning!